Financial Abuse of An Elder Adult: Under California Welfare and Institutions Code section 15610.30 a defendant is liable for civil damages upon proof that the defendant did the following: (1) “took, hid, appropriated or retained” the property of a person 65 years old or older; (2) for a “wrongful use” or “with the intent to defraud”; and (3) this caused damages to the elder person. Neglect of An Elder: One is liable for “neglect” as defined by California Welfare and Institutions Code 15610.57 upon proof of the following: (1) the defendant had “care or custody” of an adult person 65 years of age or older; (2) Failed to use the degree of care that a reasonable person in the same situation would have used by “failing to assist in personal hygiene or in the provision of food, clothing, or shelter; failing to provide medical care for physical and mental health needs; failing to protect the elderly person from health and safety hazards; failing to prevent malnutrition or dehydration” or any other means of negligence; which (3) caused harm. Physical Abuse: Under Cal. Wel. and Inst. 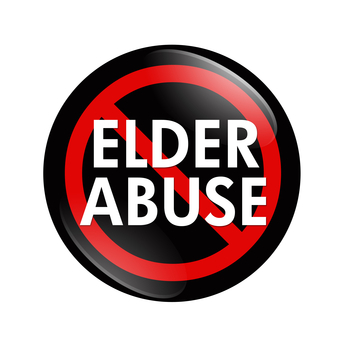 Code section 15610.63, a defendant is liable for physically abusing an elderly adult when they engage in physical abuse of an adult over 65 years old and this causes harm (including physical or emotional damages) to the adult over 65. While the amount necessary to compensate for actual harm is recoverable if any of the above is shown, the additional, so-called, “enhanced remedies” (which include potential punitive damages and an award of attorney’s fees and costs) are available upon a showing that any of the above actions were done with recklessness, oppression or fraud. Case law has held that, “a plaintiff must demonstrate by clear and convincing evidence that defendant is guilty of something more than negligence; he or she must show reckless, oppressive, fraudulent, or malicious conduct. The latter three categories involve ‘intentional,’ ‘willful,’ or ‘conscious’ wrongdoing of a ‘despicable’ or ‘injurious’ nature. ‘Recklessness’ refers to a subjective state of culpability greater than simple negligence, which has been described as a ‘deliberate disregard’ of the ‘high degree of probability’ that an injury will occur. Recklessness, unlike negligence, involves more than ‘inadvertence, incompetence, unskillfulness, or a failure to take precautions’ but rather rises to the level of a ‘conscious choice of a course of action . . . with knowledge of the serious danger to others involved in it.’ ” Delaney v. Baker (1999) 20 Cal.4th 23. In addition, if the egregious conduct is on the part of an employee of a nursing home, extended care facility, assisted living arrangement or some other employer charged with physical care of the elderly, that an “officer, director, or managing agent” of the employer had advance knowledge of the unfitness of the employee for their job duties and employed them with a “knowing disregard for the rights and safety of others.” California Civil Jury Instruction 3102.